Early Childhood Education Phoenix: Why Choose Valley Learning Centers? Ensuring that your little one is attending the top child care and learning center in your area can substantially ease your worries while you are away from your child. There are a number of things that you should consider when deciding which learning center is best for your child, which is why we will be talking about a few key pieces of information to consider when looking for a learning center near you. 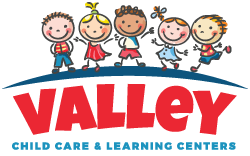 Valley Child Care and Learning Centers is the leading daycare facility for children living in Arizona. With a number of locations in areas such as Phoenix, Tempe, Chandler, Glendale, and Anthem, we make it easy for families across the state to find the best learning center in their area. Since 1967, we have taught the proven curriculum your child needs to develop emotionally, cognitively, and socially, and we work alongside all of our students to help them learn and grow in a welcoming environment. If you are interested in learning about a few of the reasons why Valley Child Care and Learning Centers remains as the top daycare facility in Arizona, continue reading more below. Your kiddo’s diet plays a significant role in how they develop, both physically and cognitively. As such, it is important that your little one is receiving the food that he or she needs to continue growing into a healthy child. We take nutrition very seriously at all of our facilities, and we allow all parents to view our breakfast, lunch, and snack menus online so that you know exactly what your little one is eating. As a parent, it is natural to want to be kept up to date with your child’s academic progress. We, too, are devoted to seeing your kiddo learn and grow, and we work hard to maintain an open line of communication between all of our staff members and parents. In fact, if you are ever wanting to see your little one throughout the day, we allow all parents to visit any of our facilities at a moment’s notice. Leaving your child with others can be incredibly stressful, especially if your question their abilities to keep your child safe. We know that safety is a top concern for parents, and we work hard to ease any worries that you may have. From full background checks on all of our staff members to security cameras placed in every classroom, there are a number of methods used to ensure that your little one feels safe at all times while visiting our facilities. These are just a few of the countless reasons why parents of Arizona place their trust in Valley Child Care and Learning Centers. If you are interested in touring any of our 10 unique locations, would like to learn more about our curriculum, or would simply like to speak directly with one of our staff members, contact our team of professionals today. We look forward to speaking with you!